This course is for the novice user who has little or no experience with Microsoft Excel except for my Excel Beginner Level 1 course. 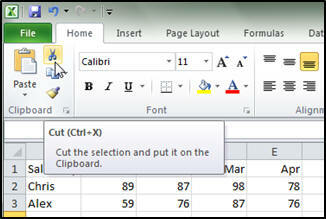 We will begin by learning about the clipboard, and how to cut, copy, and paste data in our spreadsheets. We'll see how Excel automatically updates cell references. You will learn about Autofill and how to use it to carry a formula across multiple rows or columns, again with Excel automatically updating the cell references. Next you will learn about Cell Formats, including text, number, currency, accounting, long, and short dates. We will next learn about fractions, percentages, how to increase and decrease the number of decimal points, the comma button, and scientific notation. You'll learn how to work with rows and columns. 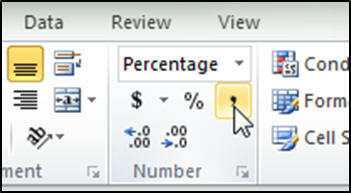 You will see how to insert and delete rows and columns, select multiple columns, and clear their contents. We'll learn how to manipulate Worksheets. You'll learn how to insert, delete, rename, move, copy, and color the tabs of Worksheets. 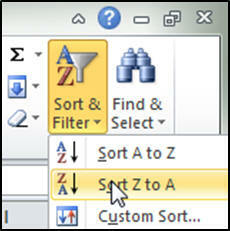 You will learn how to Sort Data. You'll learn how to sort ascending and descending, deal with total rows, and sort on a column other than the first column. Next we'll learn Conditional Formatting, which is changing the look of the cell based on its contents. You'll learn about conditionally changing the cell's color, data bars, color scales, and icon sets. 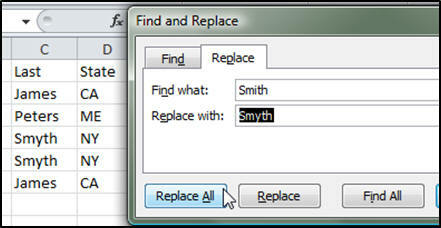 You will learn how to use Find & Replace to locate and change data in your sheets. You'll learn when you should and should not use Replace All to perform mass changes. Again, this is the perfect class for anyone who is new to Microsoft Excel 2010 and has finished my Excel Beginner Level 1 course. 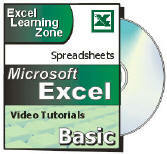 If you have little or no experience with spreadsheets, or you just want to get familiar with how Excel 2010 works, this class is for you. Carol Brown on 11/17/2011: If I want a cell to contain a dash that is not related to subtraction, how can I do this. I formatted the entire worksheet as text, but it still want to use the minus as part of a formula. Just start the cell off with a single-quote ' character. That will force Excel to treat the cell as text. Lynn on 6/11/2012: Hello, my question is about Tab labels at bottom of spreadsheet. 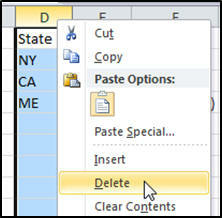 PatrickWoo-Ching on 9/19/2012: I created a spreadsheet with a colum for birthdates. How would I go about having the birthdate change automatically when the date arrives? Why would you want the birth date to change? That should stay constant, don't you think? Do you mean you want a "days until birthday" value? 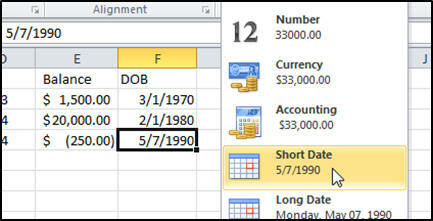 If so, see my recent tip on subtracting dates in Excel. Alexandria Hutchinson on 3/18/2013: I've lost my ribbons and footer information. How can I retrieve them? Jennifer Garubanda on 7/11/2013: How can I put my table on the separate sheet yet everything fits on one sheet? DIANE WRAY on 8/17/2013: I have my own example set up for this. I have selected columns and rows as shown and hi-lighted. I move with my tab to the last column that shows a total and am trying to sort numbers from largest to smallest. It is not taking into account the selected no on column F2? My formula bar shows the correct equation? Time 05.31 on sorting data video. I can't really tell what's happening without seeing your sheet. DIANE W on 8/18/2013: I figured out my mistake. I was looking at your online example and did not select all the data from my own example in order to sort and filter largest to smallest. Kimberly Pelquin on 2/24/2015: How do you find/replace in a spread sheet of 5000 customers if you have John Smith, Sue Smith, Ron Smith, Paul Smith? Do you have to do them one at a time? There is a replace all option. Are you wanting to change individual's names? Ginny Yager on 4/23/2015: Hi Richard, this is probably coming up in a future lesson (I'm only on Beginner Level 2-3), but it's something I'm being asked to do now. I need to create a spreadsheet for training. I know how to insert a formula to get a total, but what if I'm not finished entering information? If I put the formula in cell E24, but still have to enter other trainings after row 24, what do I do? The only thing I can think of is that once I've put the formula into a cell, I'd have to insert a new row every time I entered a new training. Is there a way to force that formula to move down? I hope I've explained my question. Double click that and the formula will copy down. Ginny Y on 4/23/2015: OK, but what if I'm entering new information into that cell where the total is? My columns are Name, Date, Title, Type, XHours and YHours. Another option is highlight a cell in data, Ctrl+L turns it into a Table/List, now when you tab to create a new row the formula will copy down automatically. Anthony P M on 3/4/2016: Hello can you help me on this question please? I have an individual with a number of training dates which covers many years, I have applied "Conditional Formatting" Changing 2016 dates to red in my spreadsheet, but now I want to count the 2016 dates (Red Boxes)I am trying to use CountIF but am struggling, can you help advise please. Not sure what to place between the two " "
Meenakshi Sundaram on 1/17/2017: When I take the mouse to the Bottom Right Corner, it doesn't changes from White plus to Black plus and I can't able to copy and four direction arrow is also not coming over the four outer lines hence I can't able to move the cell from one place to another. Help in this regard, Please.